Former wide Receiver Riley Cooper played in the prestigious National Football League (NFL) for six seasons during which he exhibited admirable strength and perseverance. Before then, Cooper was very active in college football and had good rankings that sure played their role in getting him into the NFL where he was nothing but impressive all through. Cooper threw in the towel on NFL in 2017. Although the reason for his said retirement remains very vague till date, Cooper’s name will not be forgotten in the league in a long time to come. Here are lesser known facts about the former NFL player. He was born on September 8, 1987, in Oklahoma City, Oklahoma. Cooper’s encounter with American Football began in Clearwater Central Catholic High School where he played football and baseball for his school team. He recorded admirable achievements in high school football; not only was he the team’s captain in his senior year, he earned all-state honors, as well as free safety during this time and was also a three-time all-county selection. Cooper was good at football and baseball as well. Following his remarkable stint in baseball, he got drafted in the 2006 Major League Baseball Draft in the 15th round but he rejected it, choosing to stick to football where the bigger part of his interest lied. In 2006, Cooper proceeded to the University of Florida on scholarship where he played for The Florida Gators. He earned a nomination for the SEC Freshman of the Week after an outstanding freshman performance, which saw him clinch 92 yards with 4 receptions and 3 touchdowns. His Sophomore season in 2007 was also very impressive; he made two starts out of 10 appearances in 10 games. By the end of his second year, Cooper had run 182 yards, caught eight passes and made two touchdowns. In his junior season, he appeared in 14 games and totaled 261 yards on 18 receptions with 9 touchdowns. Riley Cooper began his professional career when he was selected by the Philadelphia Eagles in the 2010 NFL Draft during the fifth round. He was the 159th overall pick. Cooper subsequently signed a four-year contract with the team in July 2010. His 2010 season ended with a total of 116 yards with seven receptions and one touchdown. In his 2012 season, Riley sustained an injury and missed some of his games. He later returned in the middle of the season and finished off with a total of 248 yards with 23 receptions and three touchdowns. Cooper fully bounced back in the 2013 season, recording an impressive 835 yards with 47 receptions and 8 touchdowns. Cooper’s time with the team came to an end in the 2015 season after he sustained a foot injury. Following a very poor performance, he was released by the team and was not selected by any other. The following year, he voluntarily retired from the NFL. Riley Cooper may have retired prematurely from the NFL but he made a lot of money during his active days. It can be recalled that in his 2014 season with the Eagles, Cooper’s contract was extended for five years at $25 million with $8 million guaranteed. In 2015, the former NFL player earned a whopping $4 million as his base salary – the highest he ever earned per annum, throughout his career. He may not be a present NFL player, but Cooper is surely living a comfortable life. The total value of his wealth has not been pegged to a specific number. Riley was born to his parents; Larry Cooper his father and Monica Cooper his mother. Not much is known about the family of the former NFL player. He has a younger sister Lindsey who was also active in sports. Linsey played soccer for the Florida Gator’s women team at the University of Florida. The Coopers most definitely, were sports lovers. 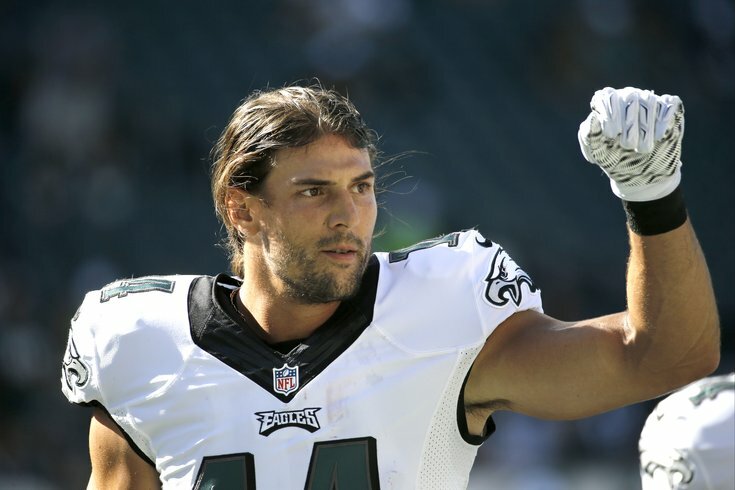 Riley Cooper may appear controversial to many but the former NFL player reserves a sweet spot in his heart for his love life. Unfortunately, Riley is notoriously private with his personal life and nothing much is known about his love life. Although he has been seen with different women, Cooper has not confirmed any relationship rumors to be true or false. He is not married to anyone at the moment. 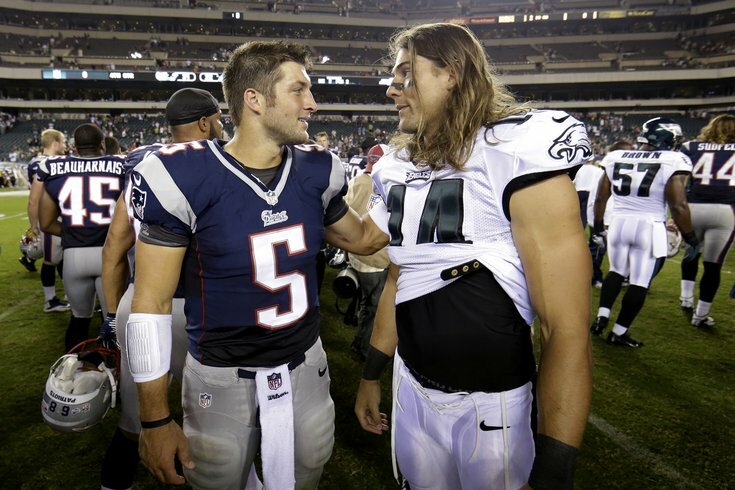 Riley Cooper almost went down in history as the most controversial NFL player. He always drew all attention to himself in the locker room with his highly spirited and fearless persona. For those still wondering why the Cooper quit the NFL prematurely, this is why. Riley was shown the door after he was caught on camera screaming racial slurs after a Kenny Chesney concert on June 9, 2013. The world of sports has zero tolerance for racism and Cooper was used as a scapegoat. He was issued an undisclosed fine and was dismissed from team activities. He was also billed to undergo sensitivity training. Although he apologized for his insensitivity, Cooper’s actions scarred a lot of African-American NFL players. He was released by the Philadelphia Eagles and was not taken by any other team. This seemed to be the reason behind his premature retirement from the NFL.